Guaranteed to transform your look in seconds to gain instant luxury this stunning mask will ensure you steal every spotlight. Beautifully elegant, this Lust Leather Masquerade Mask is filled with a dazzling looks. The perfect party piece, this must have mask is designed in red leather and is embellished with black pattens for the most glamorous finish. 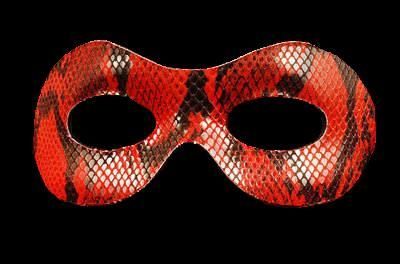 This really is a stunning mask for any event you have planned this year...Go on be a devil!